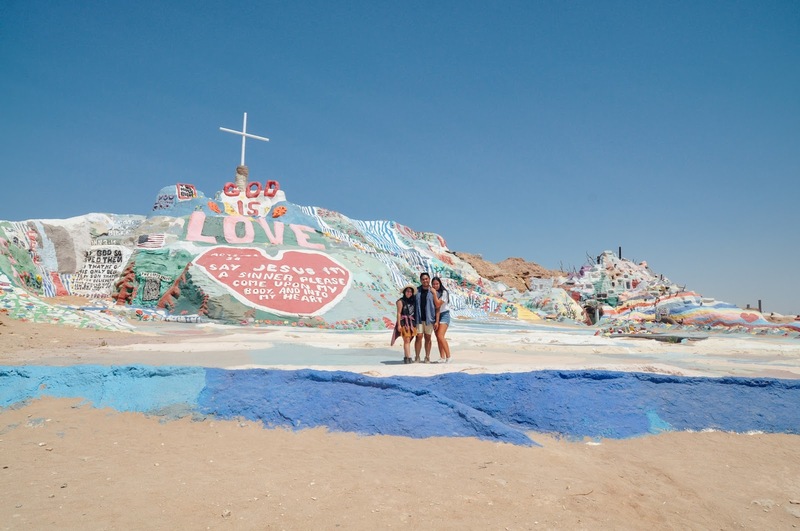 One random day, Jill, Andrew, and I all coincidentally had the day off so we took full advantage and drove out east towards the desert. 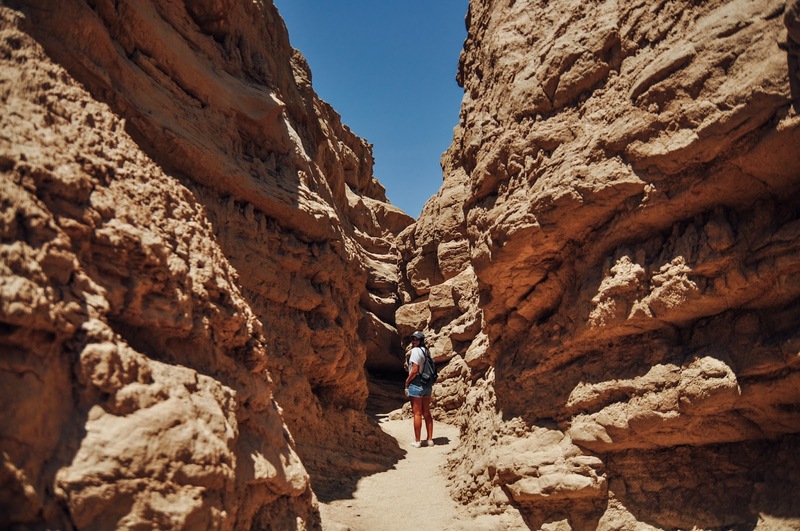 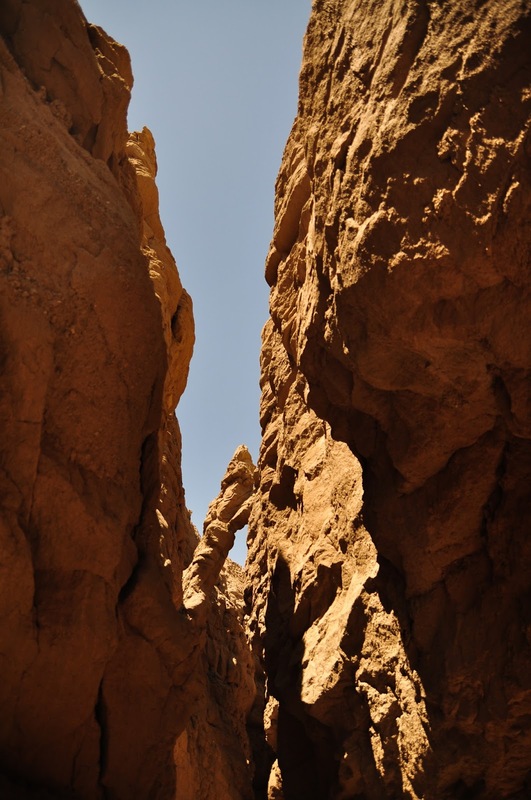 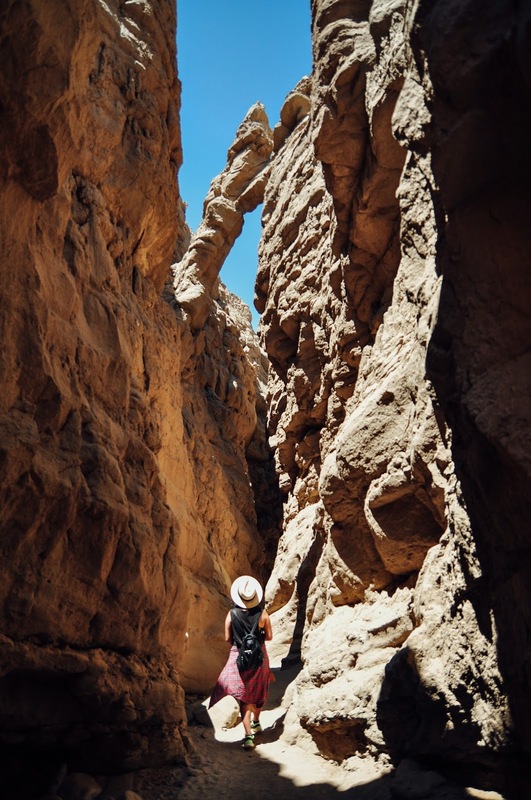 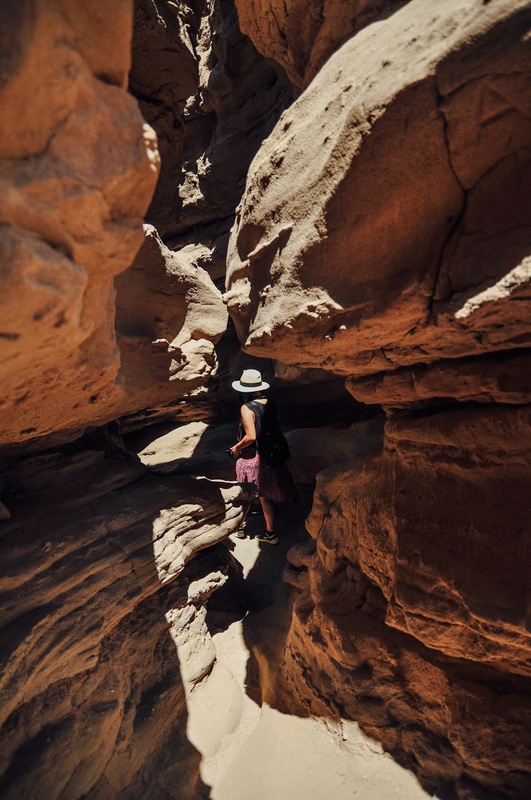 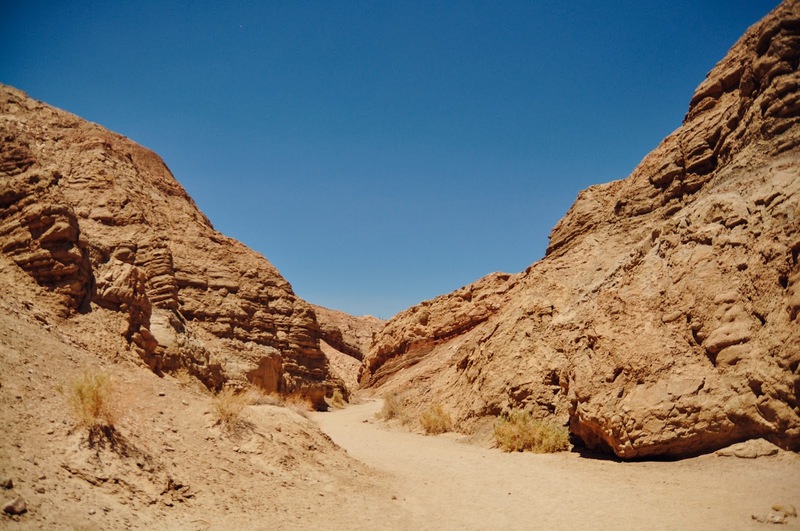 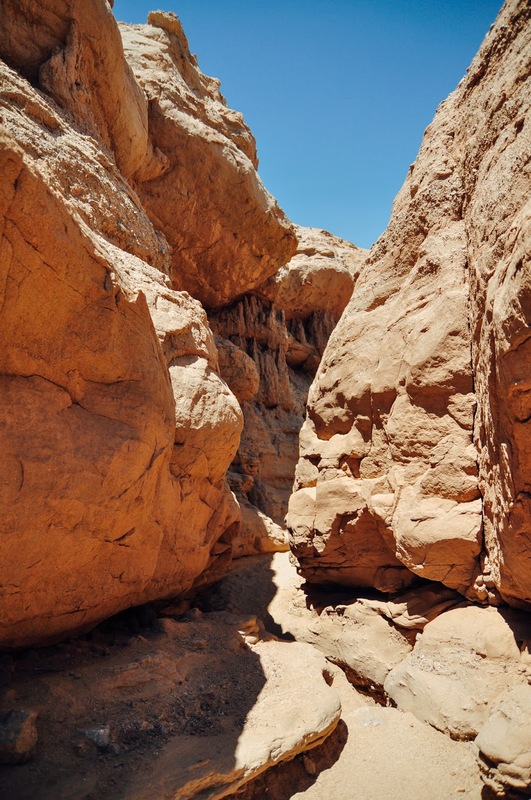 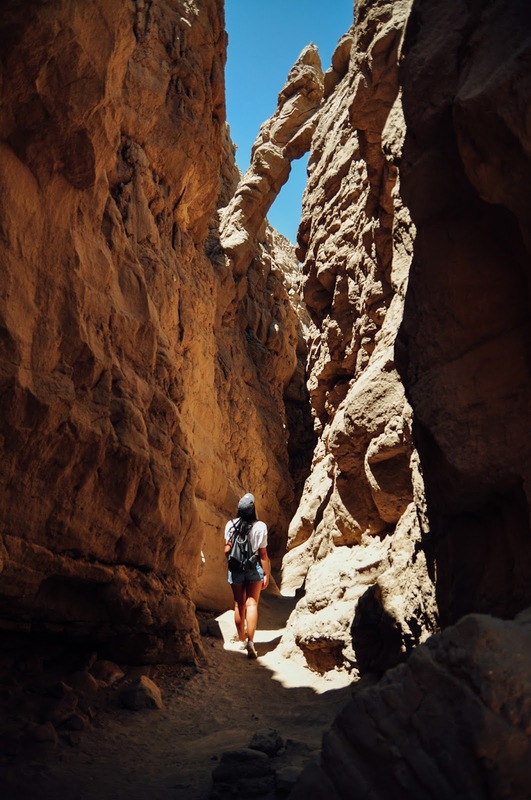 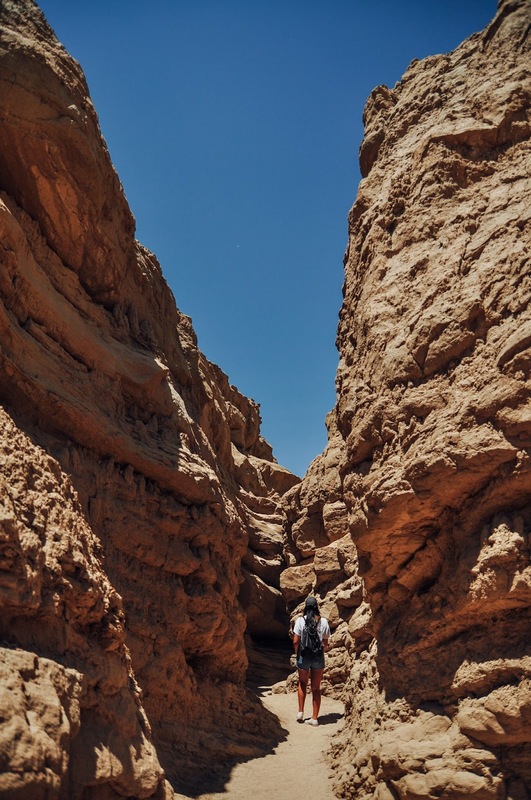 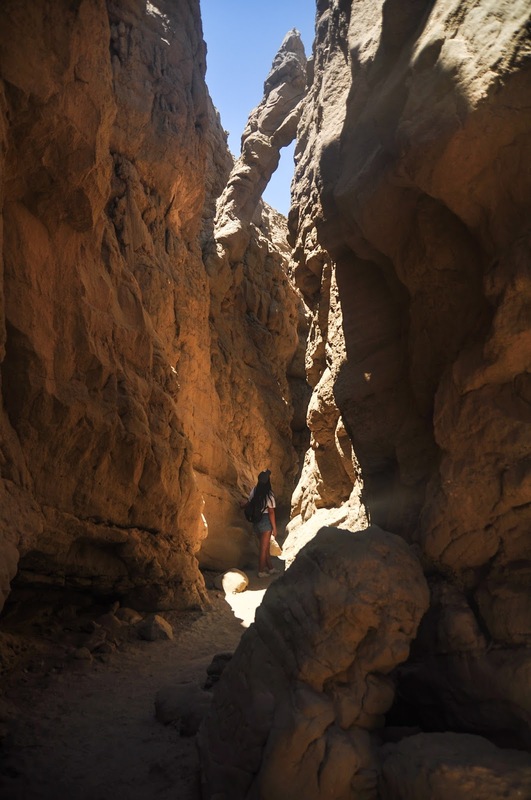 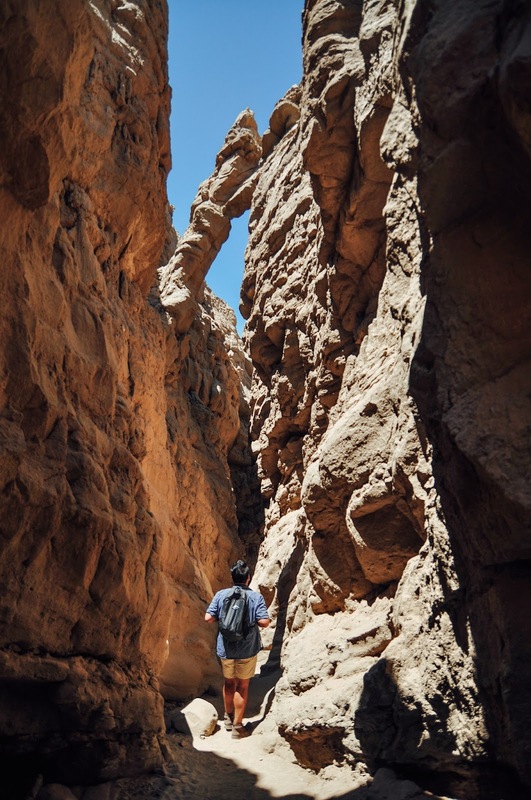 First stop was to The Slot, a cool hidden canyon in the Anza Borrego Desert. 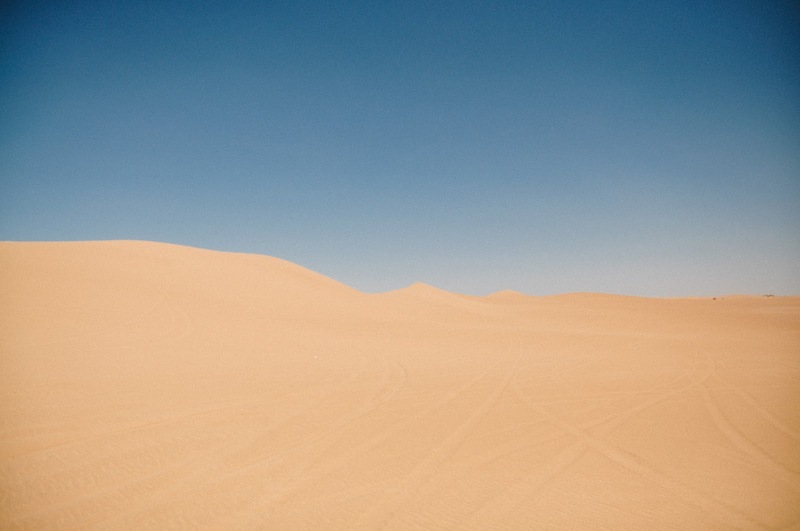 Went about half a mile in and called it quits when it got a little too hot. 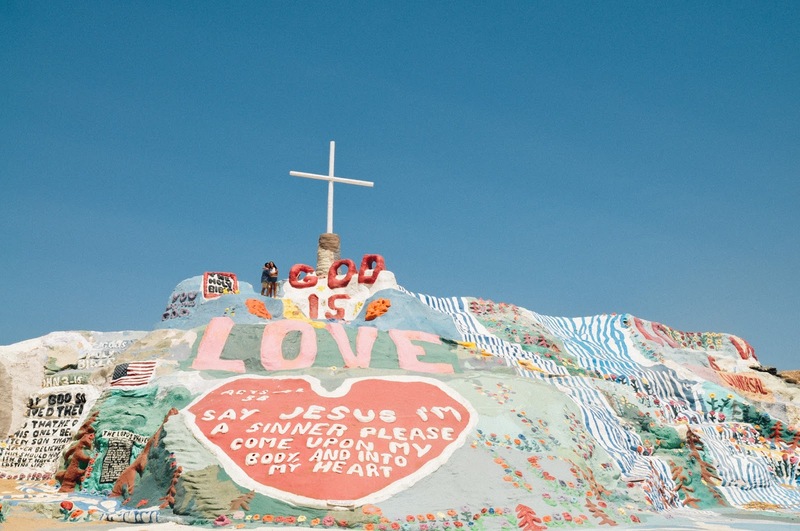 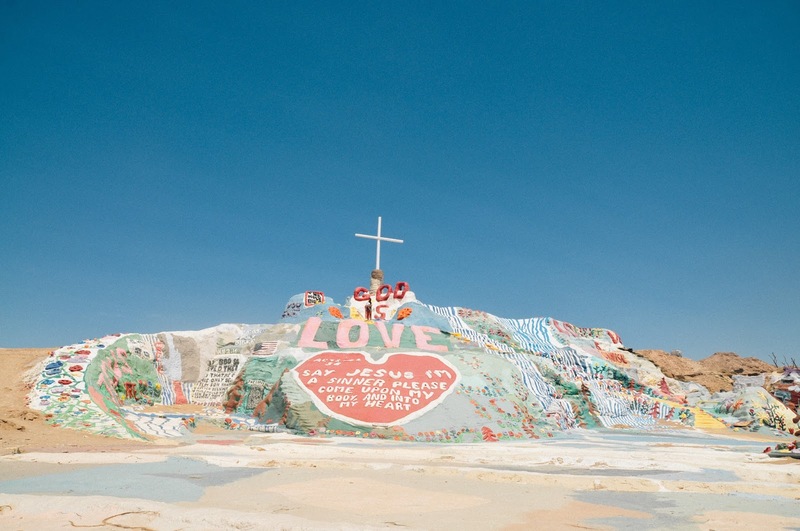 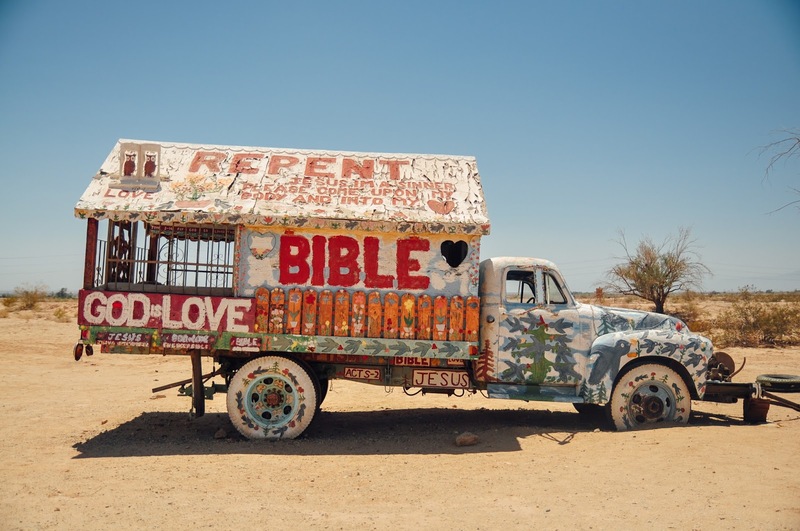 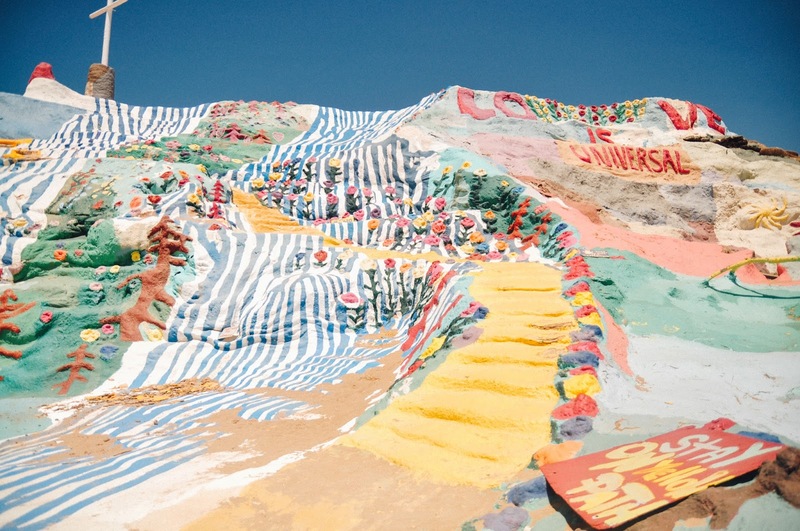 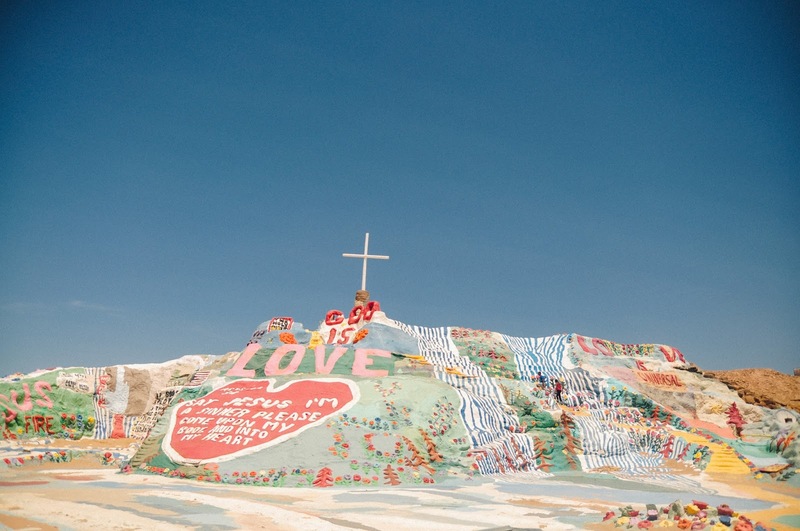 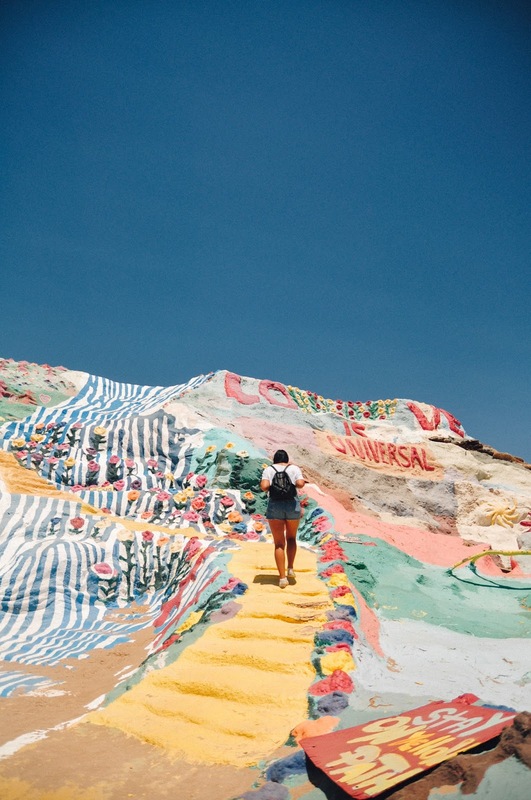 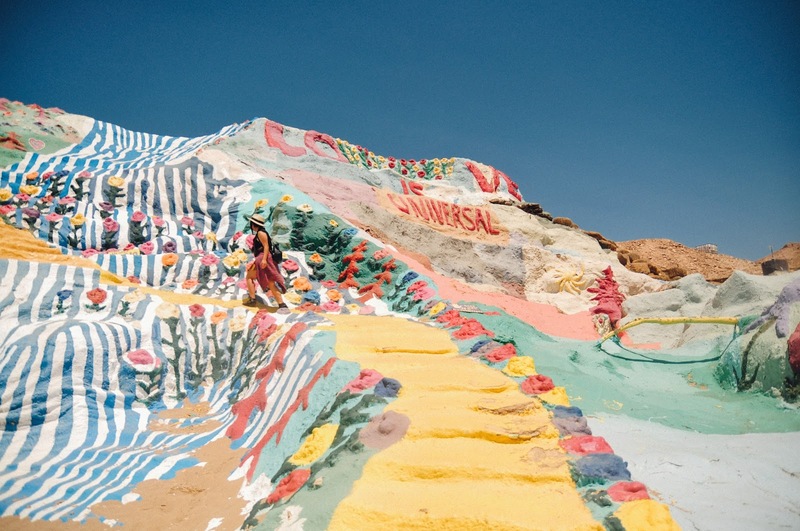 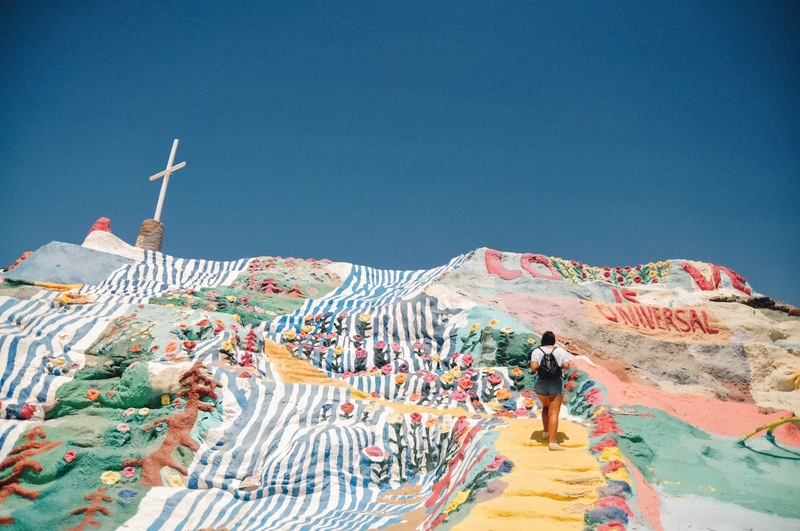 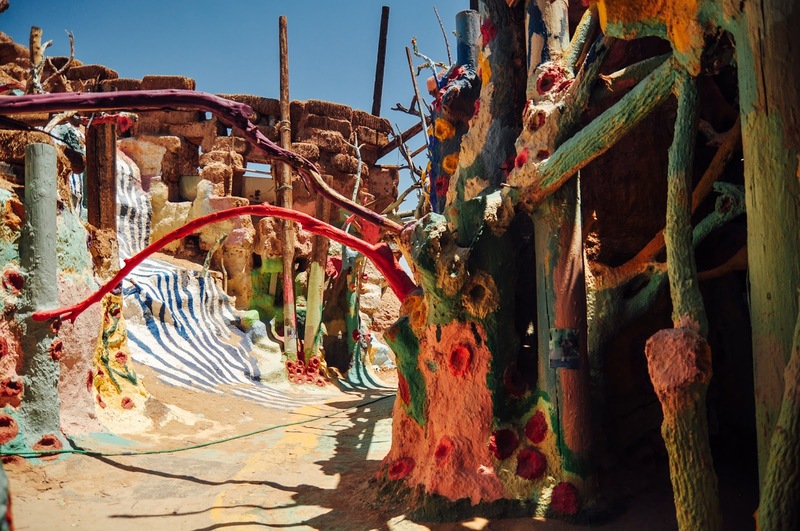 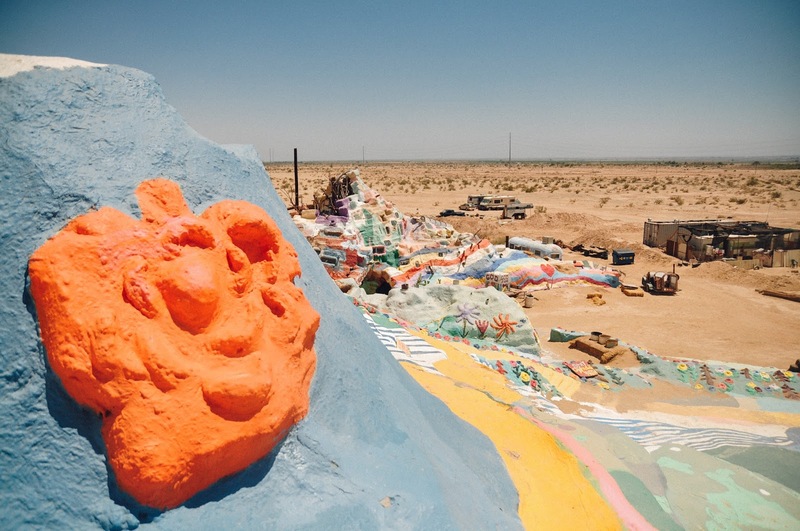 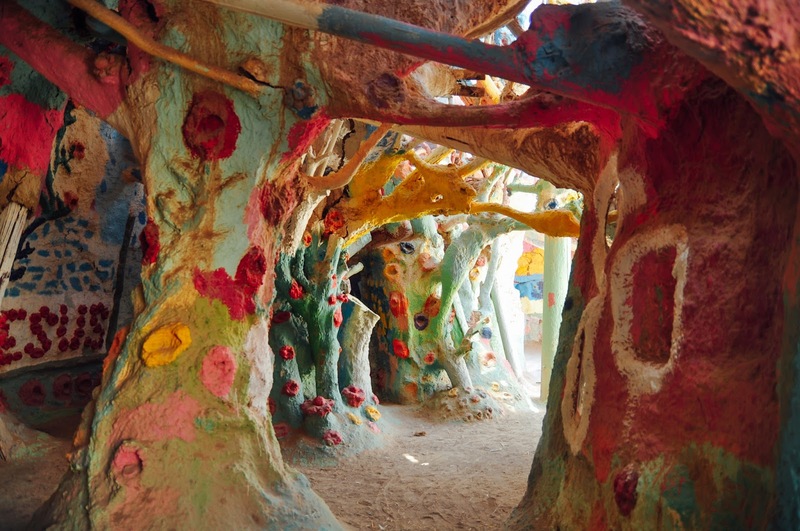 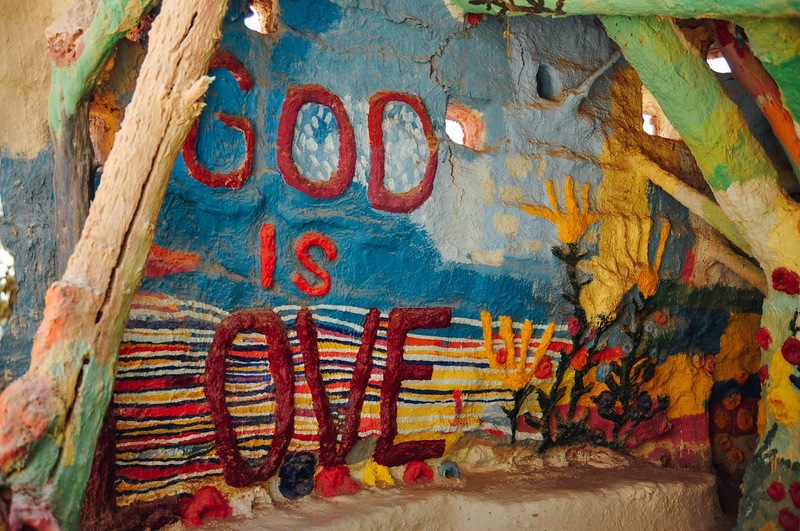 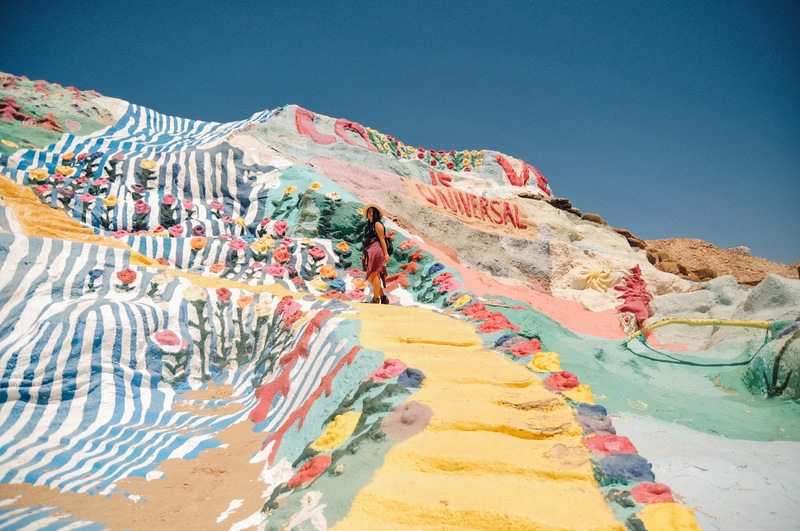 Next stop, Salvation Mountain in the middle-of-nowhere Niland. 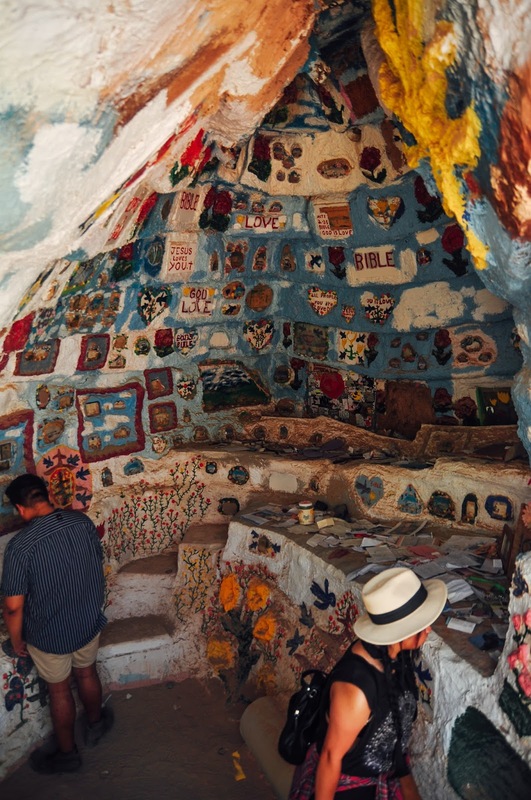 A mountain/folk art piece made of adobe, straw, and paint - Leonard Knight devoted the last 25 years of his life making it. 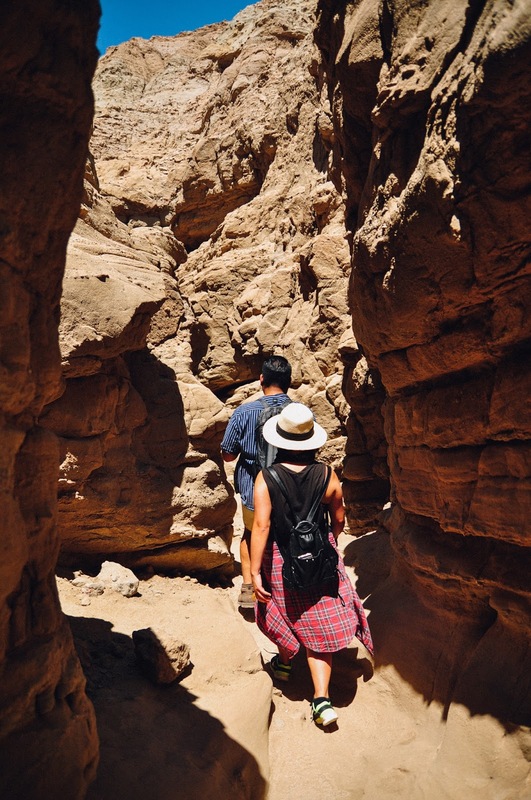 It was inspiring walking through the caves and climbing the mountain and just seeing what one man's undying love can produce. 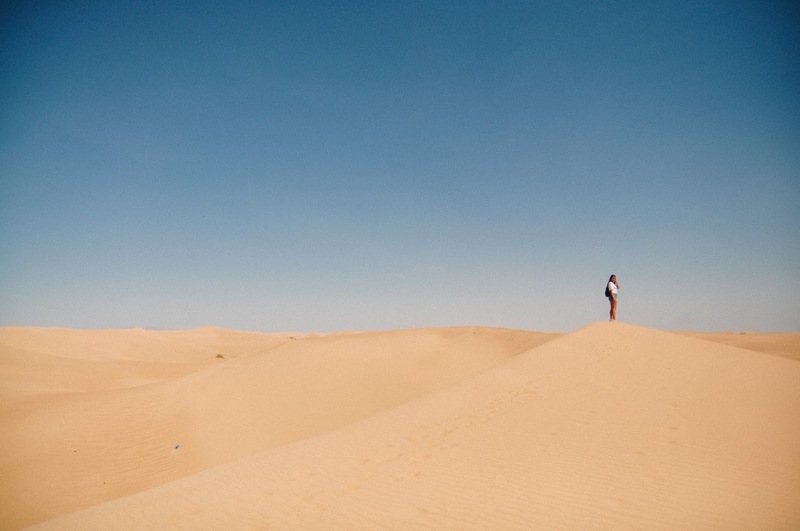 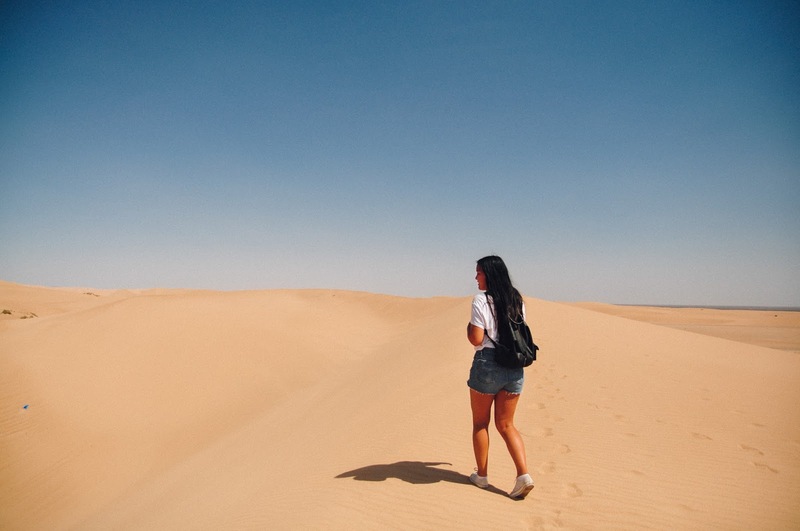 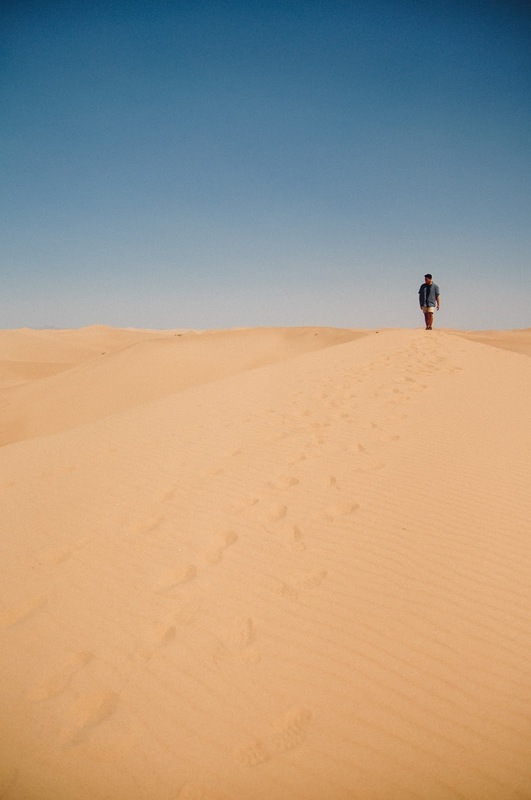 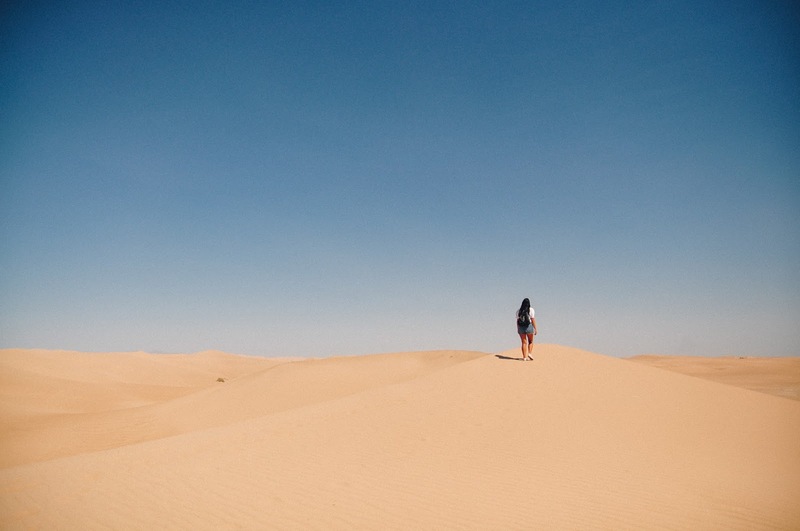 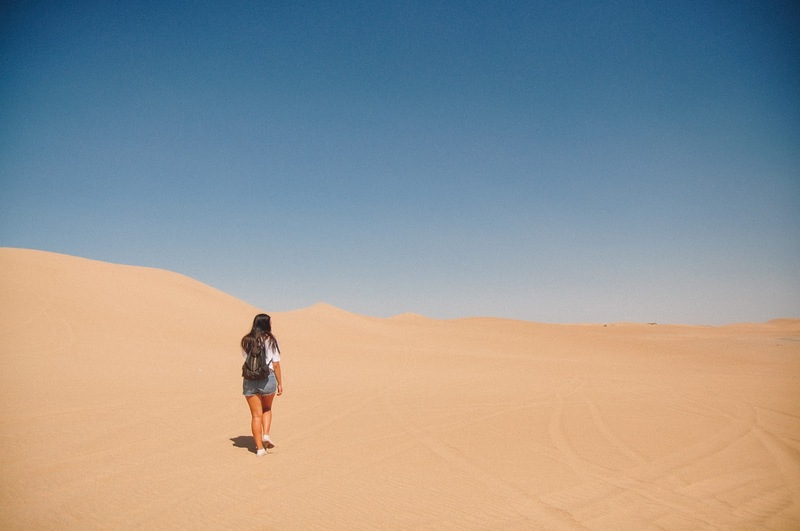 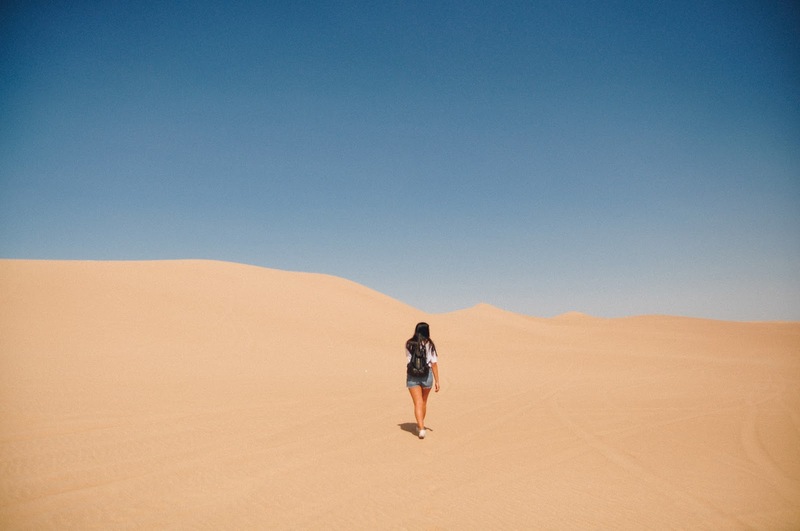 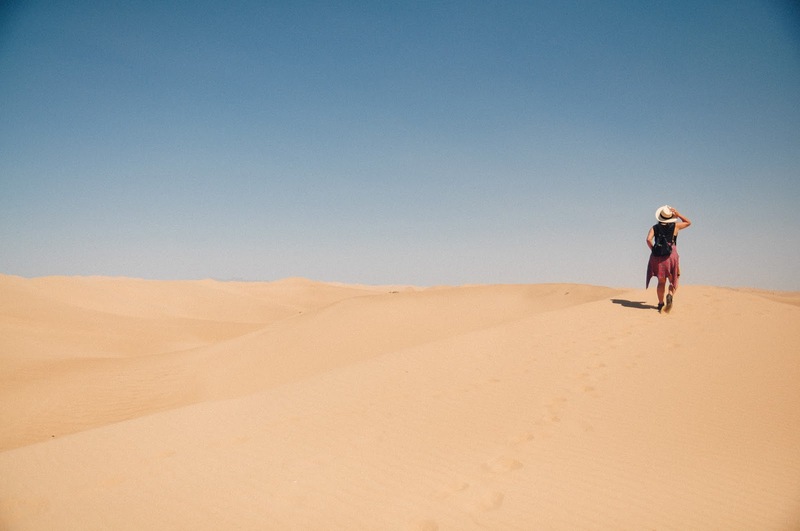 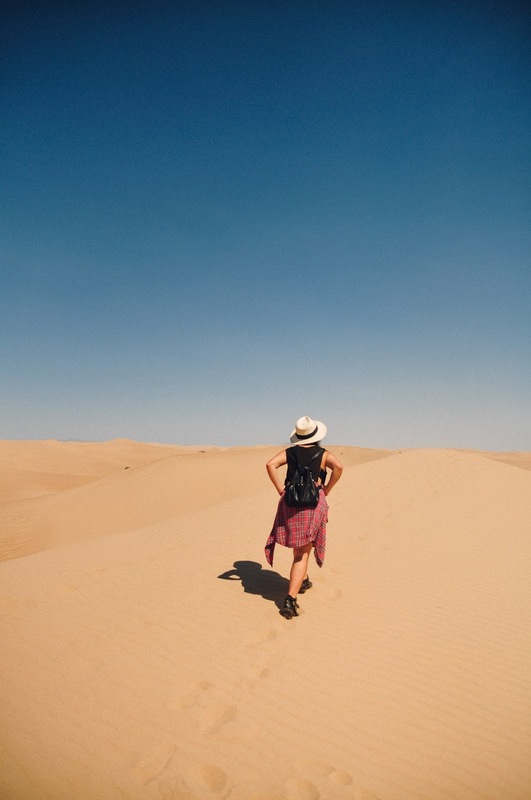 Last stop, the Imperial Sand Dunes. 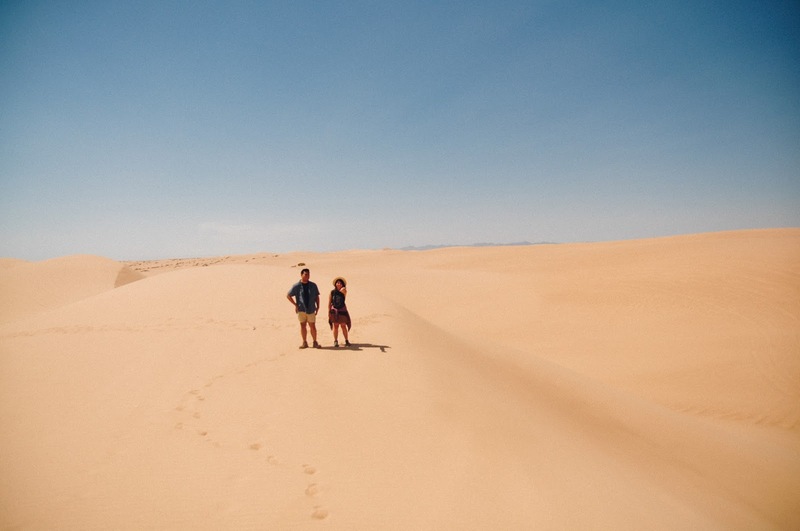 Miles and miles of sand and it seriously felt like we were on another planet. 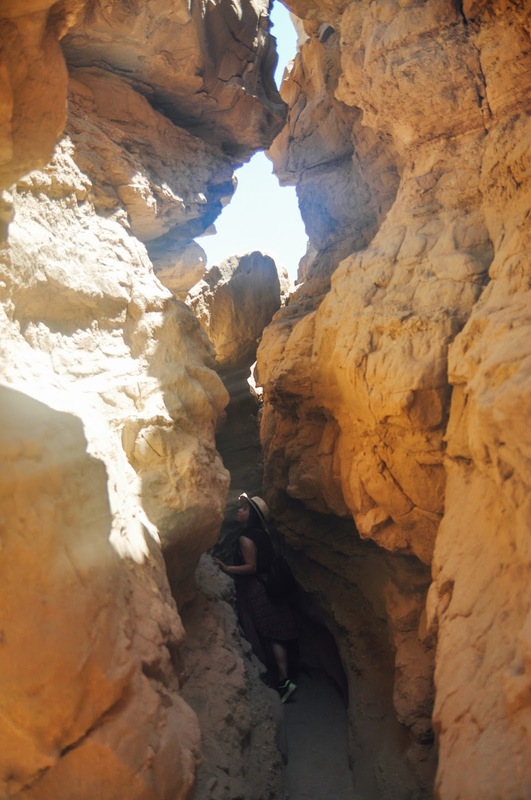 Couldn't stop thinking about Star Wars and Jakku! 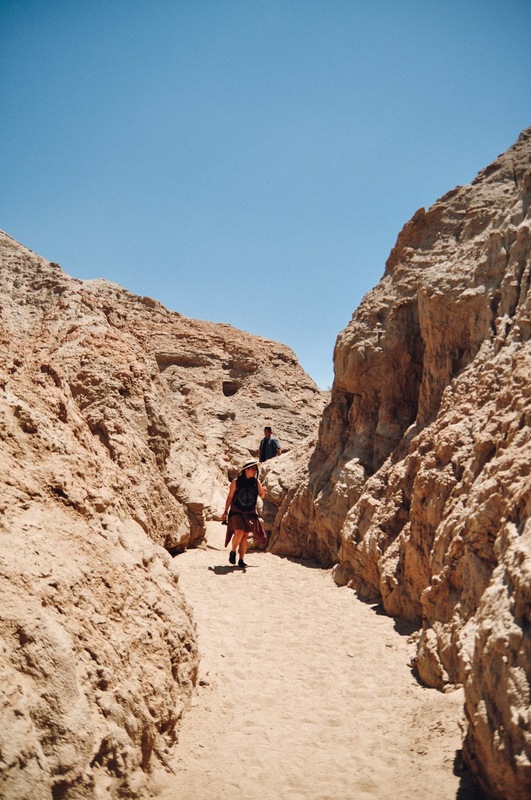 We didn't get to spend too much time out there since it was a ridiculous 115 degrees... it felt like we were being cooked alive but it was totally worth it.